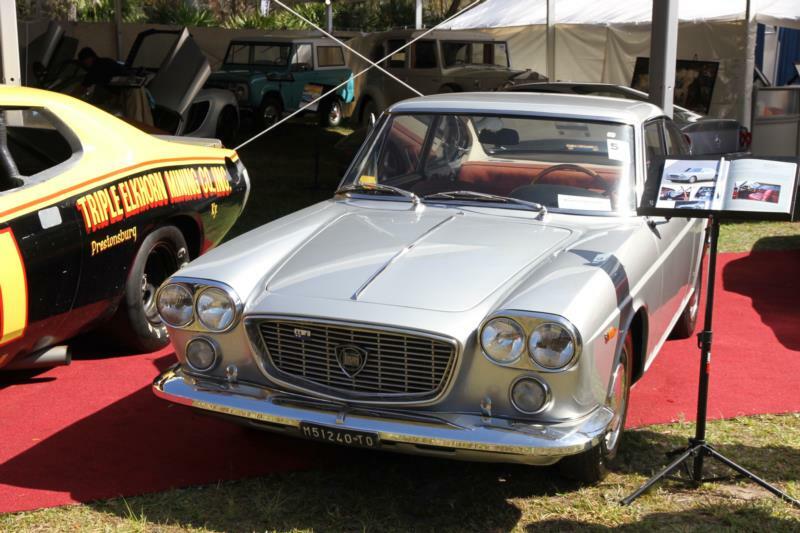 The Lancia Flavia was introduced in 1961 as an entirely new design for a mid-size sedan, and in typical Lancia style of the era, virtually all the Italian coachbuilders took a swing at special editions. 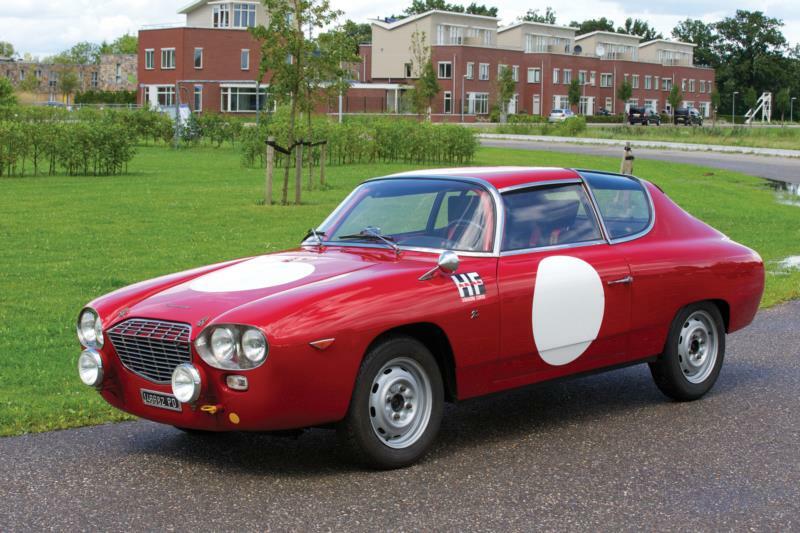 The original Flavia was a four-door sedan designed at Lancia, but shortly after introduction, Pininfarina created a coupe version, Vignale developed a two-door convertible, and Zagato did a sweeping space-age design two-door lightweight. Engine power for the Flavia started at 1.5 liters arranged as a water-cooled flat-four. This little plant developed 77 hp and 81 lb-ft of torque, which yielded a 0-60 time of almost 19 seconds, and an absolute top speed of about 93 mph. Even so, the Flavia sedan was reasonably popular. The early coupe and convertible versions received a dual-carb setup that boosted power output to 89 hp and 85 lb-ft of torque. In 1963, engine displacement was raised to 1.8 liters and output bumped up to 92 hp (100 hp for dual-carb models). That dropped 0-60 times to about 15 seconds and added 10 mph to the top speed. In 1965, fuel injection was added as an option that yielded 101 hp. The 1.5-liter engine remained available in the base model. Another twist to the Flavia was that all models were front-wheel-drive, a highly unusual feature in 1961. The early Flavia came only with a four-speed fully synchronized manual transmission with column-mounted shifter. The suspension on the Flavia was a bit of a throwback, with a single transversely mounted leaf spring providing front support and dual semi-elliptic leaf springs and a bar axle in the rear. Modern disc brakes were standard on all four corners, however, and a pair of sway bars helped keep the suspension under control. Inside, the Flavia offered two rows of bench seating, a padded dashboard, and generally nice trim. The base sedan started in 1961 at about $3,700, with the more rarefied coupes and convertibles selling for prices ranging up to $5,000. Retail prices rose only slightly over the years, to $4,300 for the sedan and about $5,300 for the coachbuilt cars. 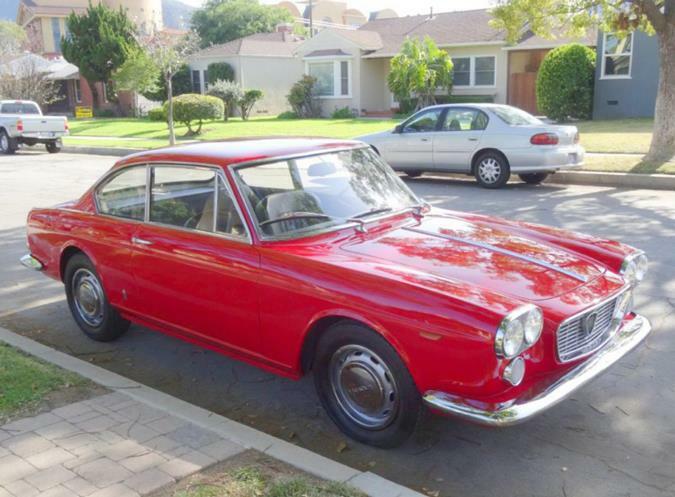 In 1969, the Flavia was replaced by the Lancia 2000 – or more properly, the model’s name was changed and only the sedan and the notchback coupe were retained with the new name. The new model received a 2.0-liter version of the same flat-opposed four-cylinder engine used in the Flavia, and the underpinnings remained the same. Through the 9-year production run, 64,739 Flavia sedans were made, while coachbuilt coupe and convertible production amounted to about 40,000 cars.